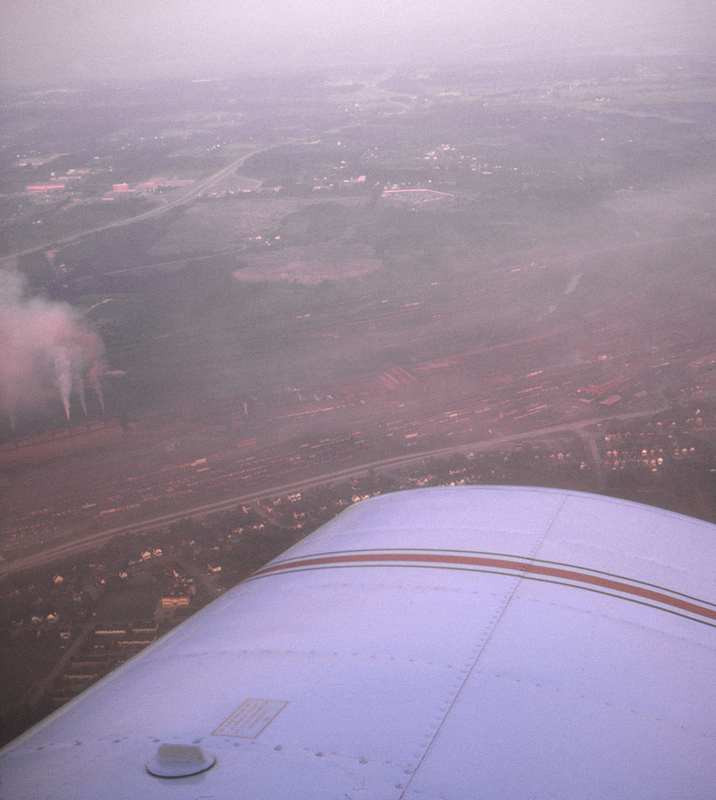 A haze of smoke is overlaying the steel works in Girard, Ohio in this aerial view looking west. U.S. Highway 422 (State Street) is just above the wing tip, with the Erie's Brier Hill Yard between the highway and the mill. Trackage of the Pennsylvania and the Lake Erie & Eastern railroads is sandwiched between the mills and the Mahoning River, with yards of the Baltimore & Ohio and Youngstown & Northern on the far side. In the distance is one of the many slag dumps scattered around the Girard/Youngstown area.